I've made two paper toys so far. They are available at my website. 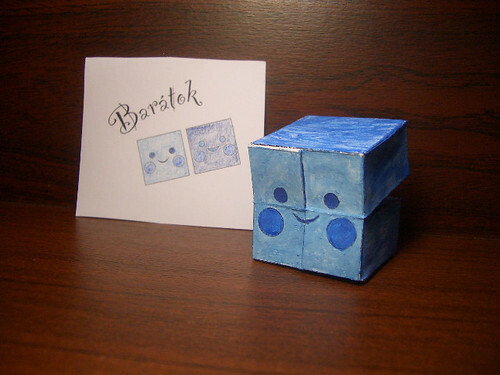 This is a paper toy based on a simple "brick". 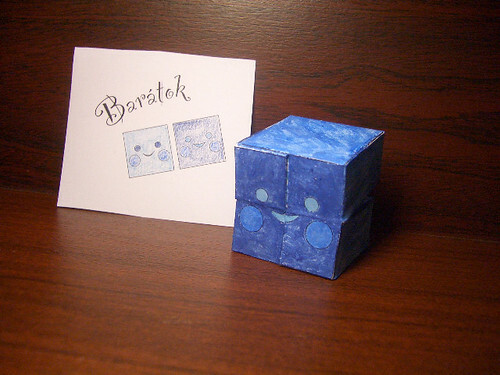 This paper paper toy can transform from a light blue cube guy into a dark blue cube guy. There's a video how it works. 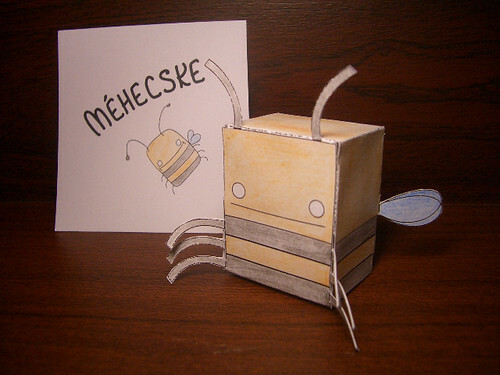 Whoa, Henk, this was an amazing experiment, Little Bee became famous in this hour! Thanks a lot that you dealt with my creations!!!! cool website, cool models. Thanks !